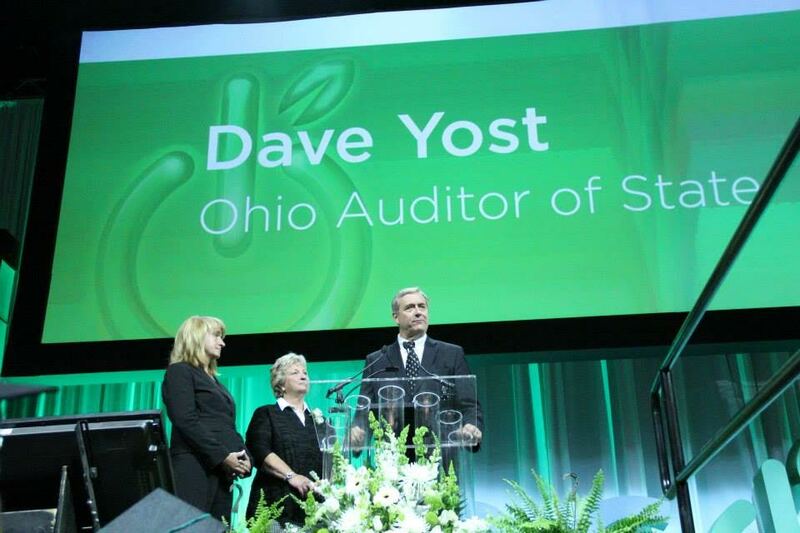 Ohio Auditor Dave Yost giving ECOT an award for its “excellent” bookkeeping. As the ECOT debacle plays out, it becomes evident that politics gave it life, but now politics is exposing its corruption and thus its shame and destruction. While the ECOT Man was on the rags-to-riches trajectory, certain state officials, who were immersed in ECOT campaign funds, protected the ECOT business enterprise. ECOT has never been focused on education. Profit has been the objective and when ECOT was caught cheating taxpayers, it went out-of-business not because it was among the worst performing “schools” in the history of the United States, but because it was no longer a profitable business. Now that the campaign contributions have stopped, former benefactors have abandoned ship. 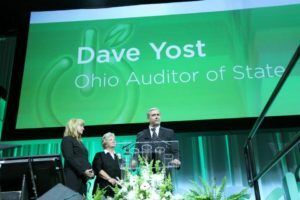 The Attorney General’s race appears to be focused on the ECOT fraud. 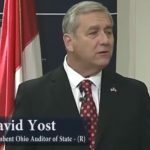 The current State Auditor Dave Yost seems to be attempting to make a case for criminal prosecution during his race for Attorney General. His opponent raised the criminal prosecution issue. Now, Yost is requesting ECOT’s school equipment be saved for evidence in case he or any law enforcement agency needs it. Interesting. Why did it take 18 years for ECOT to become a political issue? More than 10 years ago Keith Richards as Superintendent of Newark City Schools reported to several state officials that ECOT students in his district didn’t even have computers. No state official took action regarding that fraud. The fundamental problem is that Ohio charter school policy is so flawed that it invites corruption. It is time to repeal the whole charter law and start over!